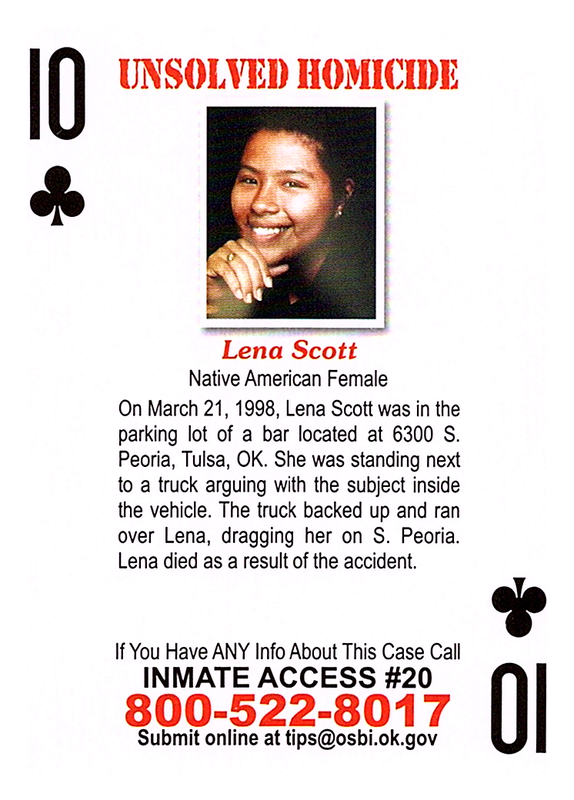 On March 21, 1998, Lena Scott was in the parking lot of a bar located at 6300 S. Peoria, Tulsa, OK. She was standing next to a truck arguing with the subject inside the vehicle. The truck backed up and ran over Lena, dragging her on S. Peoria. Lena died as a result of the accident.